About: Nagaland Board of Secondary Education was set up through an act by Nagaland Legislative Assembly and the board got assent in the year 1973. NBSE started functioning from the year 1974 and its first HSSLC Examination was held at 6 centres for nearly 2000+ students. NBSE 12th board secured an amendment empowering to conduct examination for three streams namely Science, Commerce and Arts. Conduct: The NBSE Board conducts examination for 10th as well as 12th class students. The updated curriculum including the textbooks for students was in use since 1981. Sections: The office of the NBSE 10th & 12th Board consists of various sections namely examination, academic, administration, computer and accounts which facilitates the board in getting recognition. 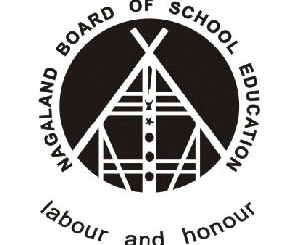 NBSE will conduct the Nagaland board 12th examination in March for the upcoming academic year 2019. Nagaland Board of School Education (NBSE) will start the examinations by March(tentative) 2nd week whereas NBSE HSSLC Routine 2019 will be out by the end of December. NBSE Class 12 Exam Routine 2019 will be made available on the official website i.e nbsenagaland.com. Nagaland HSSLC students have to pay their examination fee in the month of November once the registration is done. NBSE Board 12th routine 2019 will consist of the dates of the examinations along with the selected time slots. The entire schedule will help the students to start their preparation in a systematic way. PDF: The date sheet can be downloaded in PDF Format by following the instructions given on the website. Release Date: The NBSE Board 12th Time table/ date sheet 2019 is expected to get released by the end of December and the students are advised to be updated with the notifications posted on the website. The registration/application form will be available from the month of November 2018. Eligible students are requested to go through the NBSE 12th Board Application Form which will be available on the official website. Details: NBSE 12th board Application form 2019 contains the detailed information such as the student name, date of birth, a registration number. And all these details must be filled without any mistakes. Site: The official board of Nagaland publishes the NBSE 12th Board Registration Form 2019 by the end of November. Students are advised to visit the website for more such details regarding the registration. Mandatory: It is mandatory to fill in the NBSE board 12th Application form details for every candidate within the stipulated time. Failure to complete the form filling will result in rejection or penalty payment depending on the rules and regulations of the NBSE Board. Admit Card: Without admit card the invigilator will not entertain the candidate to appear for the examination. NBSE Board 12th Admit Card will be issued only to those students who have completed their Registration Process. Mandatory: It is compulsory to carry the NBSE Board 12th Admit Card for the students appearing in the Nagaland 12th Board Examination without which he/she is not allowed to write the examination. Site: It is the platform from where a student can access the information regarding the details of NBSE Board 12th Admit card and can even download for future reference purpose. Announcement: The NBSE 12th Results 2019 will be declared within 2 months after the completion of the final examination. Students waiting for the results are requested to visit the official website. Results: The NBSE Results will be announced for all the students of the state. The candidates must enter their roll number in the portal to obtain their results. Syllabus: Nagaland Board of School Education have the updated syllabus for the class 12thHSSLC. The NBSE HSSLC board Syllabus is listed for all the three streams namely Science, Commerce, Arts. The marking scheme chapter wise has been provided.